I’m writing this review through the haze of the kind of hangover only LGBT Pride can produce. You know the one that comes of jumping and screaming all day with no water, then drinking and dancing all night with lots of not-water. 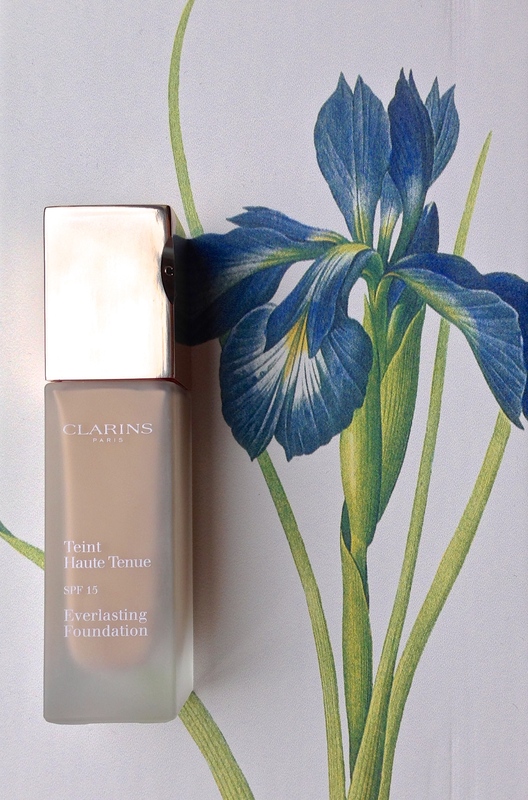 So I wasn’t going to write today for fear I wouldn’t be able do justice to Clarins’ brilliant Everlasting Foundation. But then I remembered a thought I had when, at ridiculous o’clock this morning, I sat on my floor to take my makeup off. That thought? That’s right. Over 12 hours of sun, rain, sweat, tears and pride. I shook hands with Sir Ian McKellen, I danced to Conchita Wurst, I stuck stickers on my face, I painted it with a rainbow, and I sang along to Cher. This foundation stayed with me through it all. I’ve been using Everlasting Foundation for about five months now, so I’m fully aware of how much I love it. I think the only reason I haven’t reviewed it yet is because my old bottle was scruffy looking from being in my makeup bag, so since I knew I’d be repurchasing I decided to wait. It gives a wonderfully even finish, the creamy liquid feels lovely going on, and you wouldn’t be able to make it streak even if you tried. I’ve used many foundations over the years and this is the only one that’s stood up to my perpetual distractedness and never left a streak. It blends so well, and covers dark circles up beautifully. I use shade 103 Ivory, and it comes in seven others. It’s been great for my skin too, being non-comedogenic and oil free, but I don’t find it drying or irritating which such things can sometimes be. It also contains a tea extract, which will give it an anti-oxidant, pollution protective effect.I just apply with my fingers, and I find that the drying time is perfect for that – you can dot it on everywhere and then blend without it setting in a blob, yay! It also doesn’t transfer onto clothes very easily at all. I highly, highly recommend this, it’s definitely the best foundation I’ve ever had, and at £27 for something that’ll last about 4 months, I think its very well priced. Get it here! 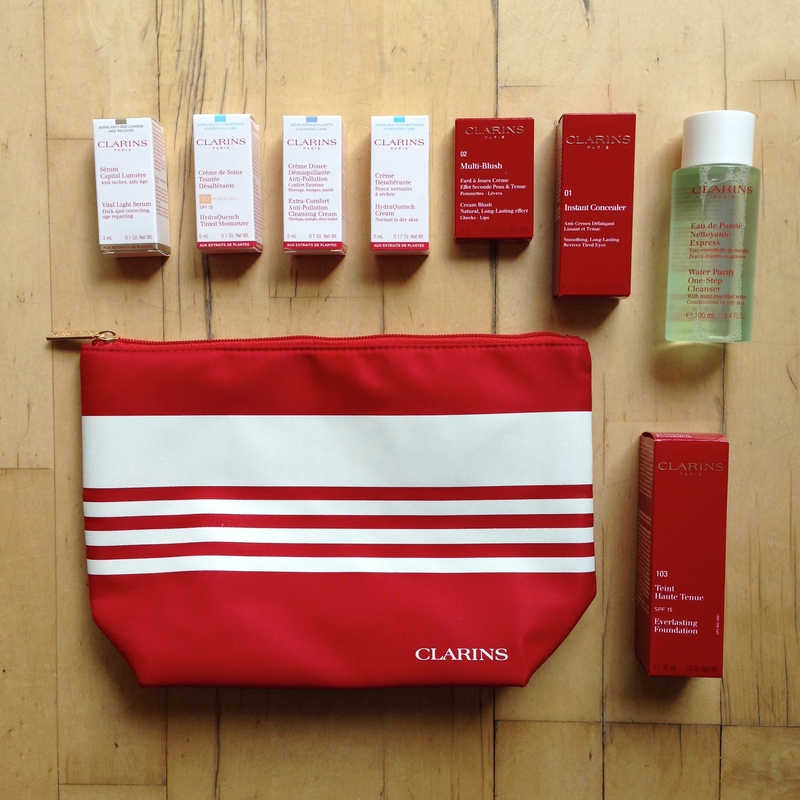 I also recently had a bit of a Clarins splurge…well, you can see the evidence here. The minis and bag were a free gift with the blush and concealer, and I’ll be reviewing all of them soon! Obviously I don’t want to attack my face with all these new things in one go, but I’m working my way through! 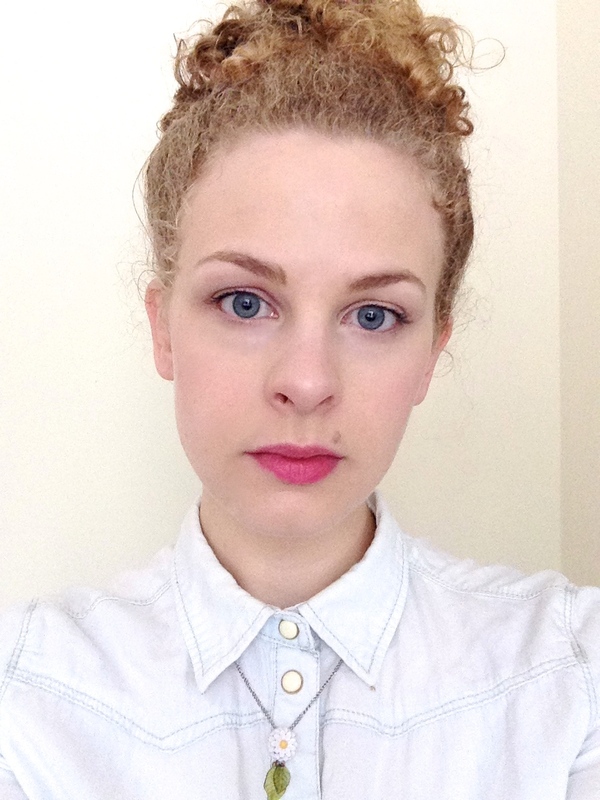 This entry was posted in Beauty, Combination skin, Makeup, Sensitive skin and tagged Makeup. Bookmark the permalink. 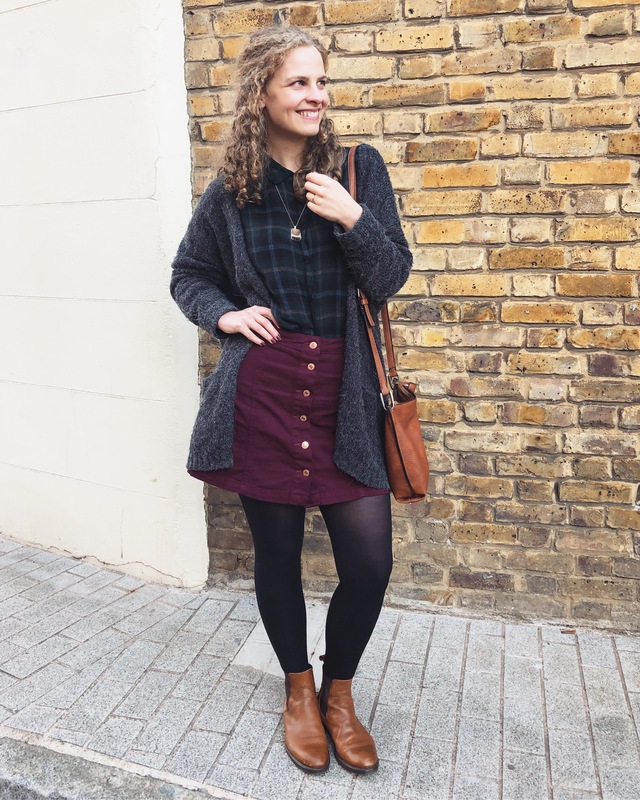 ← Kew Gardens – my favourite place in London? You’re so beautiful! And the foundation looks super natural on your skin. I never really tried out clarins, I thought it was just a weird name. But now I think I should definitely give it a shot!